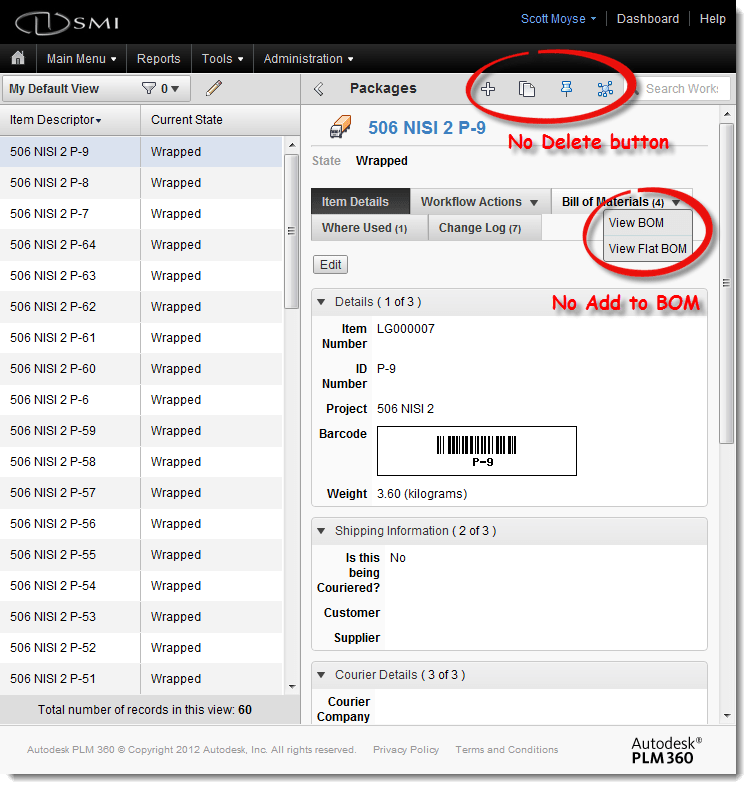 PLM 360 | Can’t add items to BOM tab? I recently hooked up our Autodesk PLM 360 tenant with a trio of stonking workspaces, all of which interlinked and were blessed with individual workflows, some more elaborate than others. Once again these three workspaces are the result of trial and errors with previous incarnations, but the result if fairly simple for now and will become more complex over time using these three and the data fields within them as a solid foundation. As a result I was quite surprised, frustrated and mildly pissed off to find I couldn’t add any Items to my BOM tabin any of the three workspaces. I’d followed all the rules, and checked all the usual suspects but for the life of me I couldn’t figure out why, then I remembered about Workflow permissions. Unless you have the permission to perform the next work flow transition (state change) then you can’t delete the Item or add anything to the BOM, but you can still edit the Item Details tab. So it seems it only partially locks down the Item and I have yet to find out why. This only occurred for me because I cloned a workspace, setup the Roles’ permissions and then copied the Work Flows across the workspaces, subtly modifying to suit as I went. 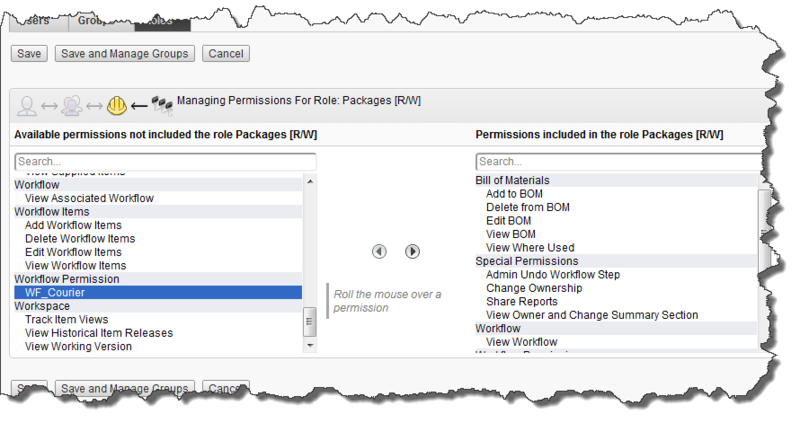 If I’d have created the Roles after I had setup the work flows for each workspace then I would have noticed the Workflow transition permission and added it to the role. Mike Watkins taught me well on this one, it just took me a wee while to remember the sucker!